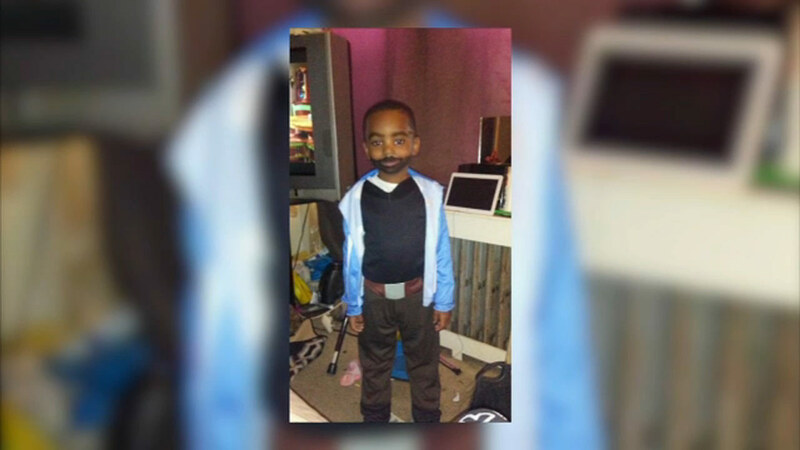 Teen, 5-year-old brother shot while trick-or-treating in Philly. Bob Brooks reports during Action News at 4pm on November 1, 2018. 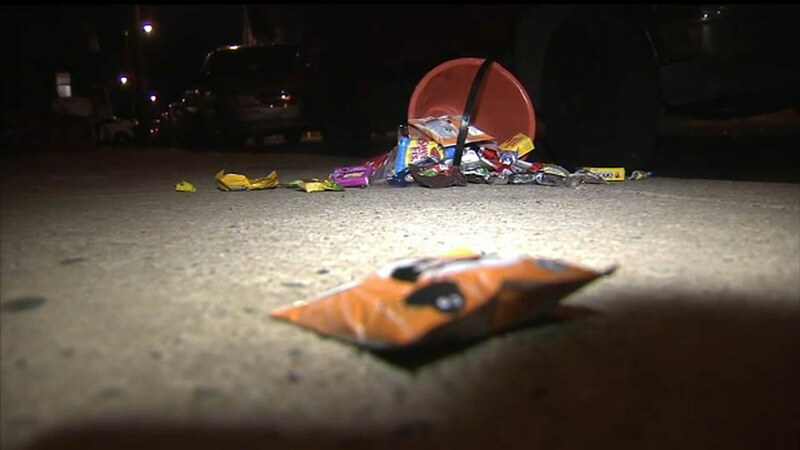 PHILADELPHIA (WPVI) -- Philadelphia police are investigating after a teenage girl and her 5-year-old brother were shot while trick-or-treating on Wednesday evening. Authorities say 14-year-old Mikaya and her younger brother Mael were enjoying the Halloween evening when the shootout began around 6:20 p.m. Wednesday on the 5700 block of Hope Street in Olney. They were caught in the crossfire. The teen was grazed and the little boy was struck in the leg. Mikaya has since been released from Einstein Medical Center. Mael was transferred to St. Christopher's Hospital. On Thursday, officers from the 35th police district visited Mael, dressed up to deliver him goodies. Mikaya told Action News she was only thinking about her brother during the incident. "I was just focused on getting my little brother. I was just focused on getting him to safety and making sure he was alright," Mikaya said. 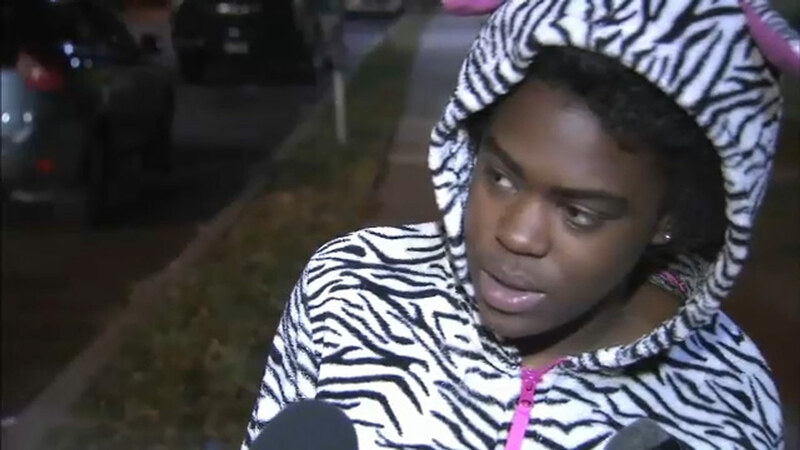 14-year-old Mikaya was released from the hospital and spoke with Action News. Police believe Mikaya and Mael were with some men who may have been the targets. The shooting happened after two armed men wearing masks got out of a car. Police say at first Mikaya didn't think anything of it because it was Halloween, but then she noticed at least one of the suspects had a gun. The children's mother Dominique says she can't understand how both of her children were shot while they were out having fun. "It makes no sense to send your children out to trick-or-treat and then you get a phone call that not one but two of your children were shot," said Dominique. 5-year-old Mael was taken to Einstein Medical Center in stable condition. Detectives are now combing through a maze of crime scene tape, searching for clues that will lead them to the shooters. They say at least six shots were fired from two separate guns. "It sounded like fireworks at first and that's why I looked out the window; that's when I started seeing the fire coming out of the guns. I was like 'what the hell is going on?' It's Halloween. There are kids out here," said Brian Carlin of Olney. A container of candy dropped on the sidewalk could be seen inches away from shell casings. Dominique says she is grateful it didn't end worse. "I just want to thank God because it could have been a lot worse. I know there's a lot of mothers that don't see their children; as hard as this was, I just thank God it was kind of minor as far as them living," said Dominique. Investigators are also looking at area surveillance to see if they captured the suspects.